Service Organization Versus Lawyer Representation: Who do you choose to represent you? One of my paralegals had an interesting experience recently that highlighted an apparent tension between veterans disability lawyers and veterans service officers. I say “apparent” because when you analyze the issue carefully there really is no conflict. Here’s what happened. My paralegal is involved in a local veterans outreach program that is affiliated with the Wounded Warriors Project. Through this program she has had occasion to interact with various State and county veterans service officers. Her interactions have been tense at times because of the perception by some of the veterans service officers that lawyers that represent disabled veterans are not needed–or worse, are simply taking the veteran’s money for representation that is unnecessary. Her experience reminded me of the need to clarify what a veterans disability lawyer does and why hiring one to represent you is important in certain situations. First, under VA regulations paid veterans benefits lawyers cannot get involved to assist a veteran–and charge a fee–until the matter is on appeal. In other words, only after the Notice of Disagreement is filed can a paid attorney represent you in your VA appeal. Under this scenario, a veterans’ service organization representing a disabled veteran has ample opportunity to win the claim for the veteran at the initial stage. There’s no conflict with attorneys here. Those of us that represent disabled veterans exclusively applaud the service officers for serving veterans in this capacity. Meaning, the VSO can present a solid claim with the initial filing of the claim and win the claim at the outset. In many cases, this can be accomplished. The attorneys are here for the difficult cases on appeal; those that the VSO’s cannot win at the initial stages. The veterans’ service officers and the veterans’ service organizations serve a useful purpose in helping veterans file their initial claims and assisting them through the process. There comes a time, however, when the claim gets denied and you have made your best arguments to no avail. The service officers have put forth their best case and you have still come up short. Do you hire an attorney and pay a 20 or 30 percent contingency fee? It all depends on how much you want to win your claim. 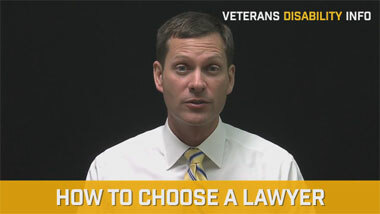 Veterans’ disability lawyers will help you get evidence to win your claim. They will also find subtle and technical legal arguments that only someone with legal training would know about. The area of acquiring evidence is perhaps one of the most crucial distinctions between lawyers and VSOs. 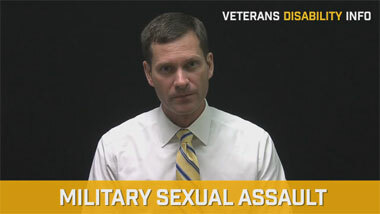 The veterans’service officer will submit whatever evidence you give him, but what if you need a high-powered medical expert and you don’t have one. Is the VSO going to get a medical opinion for you? In most cases, the answer is “no”, the VSO is not going to front the cost of a medical expert to acquire the medical nexus evidence you need to win your claim. This means you must pay out of your own pocket. But what if you cannot afford it? Or you don’t know where to find the right medical expert? This is where the experience and resources of a law firm come in. When you hire the right veterans’ disability law firm to represent you, you can leverage their resources and connections in the world of forensic medical experts. The law firm will front the cost of the experts for you, helping you win your claim. Then, out of the money the lawyer obtains for you, you would simply pay the law firm back for the money it spent to help you win your claim. I am not aware of any VSO’s that operate this way. So, if you need a medical expert to win your claim, the law firm is the way to go. 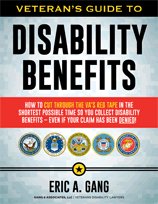 In addition, what happens if the Board of Veterans Appeals denied your claim? 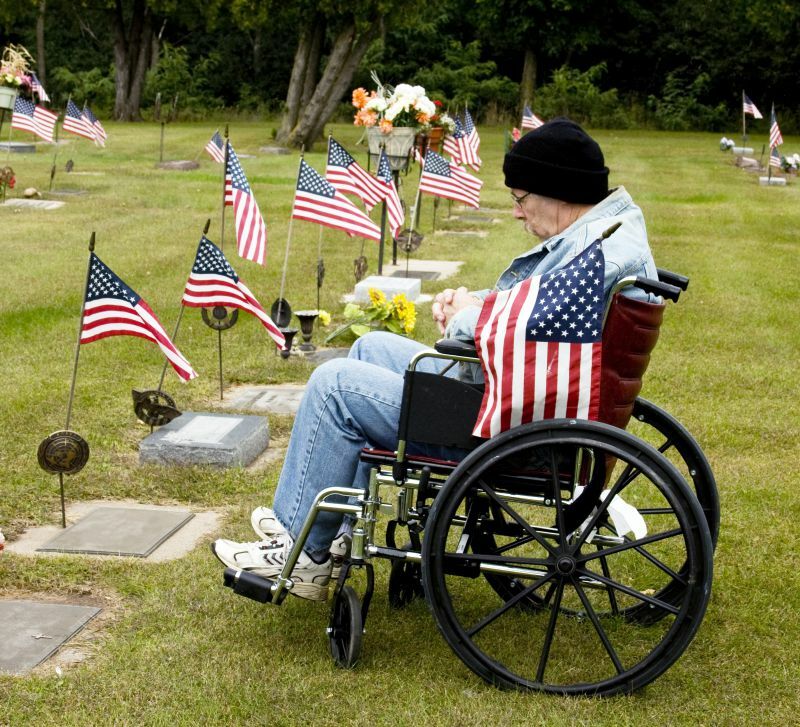 The next step in the process is an appeal to the U.S. Court of Appeals for Veterans Claims. It’s an independent federal court where the U.S. government is represented by experienced lawyers from the Office of General Counsel. The VSO generally cannot represent you. If he could, would you want a non-lawyer going up against an experienced lawyer for the government? Would you want to represent yourself against government lawyers? It think the answer to these rhetorical questions is obvious. I have won many cases over the years that VSO’s have said are unwinnable. I remember a case that I won for a client–17 years back pay at 100 percent. The VSO told him to give up because he would never win the case. Indeed, the veterans’ service organizations serve a useful purpose in helping veterans file their claims. 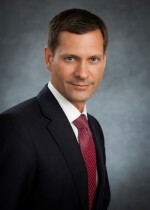 But in complex cases on appeal where medical experts are needed and where the likelihood of an appeal to the BVA and to the U.S. Court of Appeals is possible, there is no substitute for the experience and expertise of a lawyer, with a finely-tuned legal mind, and aggressive advocacy skills. If the RO or BVA has denied your claim or you have received a statement of the case and you would like to explore attorney or lawyer representation for your VA claim, then I invite you to contact our office.